2D lights are a style of light which is flat and wide. 2D lights are commonly fluorescent and are bent into a shape similar to a pretzel. LED replacements consist of several LEDs on a circular board. LED replacements use less energy and last longer than fluorescent counterparts. A 2D light is a common feature of a bulkhead, though not all bulkheads are 2Ds. A lighting system used to highlight an object. Eg. Coloured lights to highlight a company sign. A lighting system which provides the main light source for a room. This is the most common use of lighting. Eg. A bulb suspended from the ceiling. AR111 is a particular type of lamp, which can be thought of as a large spotlight. AR111s are used to focus light on a larger area than conventional spotlights. They are frequently used for accent lighting, as they light a medium sized area and can deal with prolonged periods use. The AR in AR111 stands for Aluminzed Reflector, and like a PAR lamp, this refers to the reflective surface surrounding the light source. 111 stands for 111mm, this is the diameter of the lamp. See our Bulb Finder for more information. A ballast is an electrical component which provides a short surge of voltage, and maintains a constant current, in order to run fluorescent tubes. Switching to LED tubes very often requires bypassing a ballast, as the short surge in voltage can burn out LED tubes. See ‘Do I need to bypass a ballast to fit my LED tube?’ in our LED FAQs. Bayonet cap bulbs are placed in the fitting and then twisted into the fitting to secure it. Bayonet caps come in two sizes, B22 and B15, sometimes referred to as BC (Bayonet Cap) and SBC (Small Bayonet Cap) respectively. The B in B22 and B15 stands for bayonet, while the 22 and 15 stand for 22mm and 15mm respectively. These measurements refer to the diameter of the bayonet fitting. The measure of how far light spreads over a given area from a lamp, it is measured in degrees. A large number covers a large space. A small number will create a narrow spot of light. A light’s beam angle is officially measured as where the intensity drops to half of the intensity in the centre. This is the industry leading environmental rating system that sets the standard for best practice in assessing how sustainable a building is. Not just specific to lighting, the system gives an overall rating for a building marked on how environmentally friendly it is. For more information visit the BREEAM website. Used interchangeably with lamp, this is a general term used to describe a small to medium light source and its housing. Bulkheads are lights designed for long life and high intensity. They commonly have a high IP rating and durable designs, making them suitable for outdoor and tough working environments. The recognised measurement for light intensity (luminous intensity), ie. the amount of light delivered to an area which the human eye easily sees. This is in contrast to Lux, as lux accounts for light humans struggle to see as well. Because candelas are limited to the light humans easily see, candelas are the most accurate measurement for how intense a light appears to us. It is loosely based on the number of candles it would take to produce the intensity. A common candle measures at 1 candela. A scale varying from 0 to 100 which describes how accurately colours appear under a light. The higher the number the better. For example, under a low CRI – below 60 – green objects can appear brown. A high CRI lamp will display the object as green. The scale is not an ideal index but a decent indicator. High quality LED lights above 95 CRI are well suited to environments where rendering colours accurately is important. Measured in Kelvin (K), this describes how the light looks, often phrased as ‘warm’, ‘white’, and ‘cool’. Measurements vary from 1900K for very warm to 5000K+ for very cool lights. Warm lighting will appear golden and yellow in colour, similar to a burning candle. White lighting appears white, and cool lighting appears almost blue. CFL lights, marketed as ‘energy saving’, emit light by the excitement of a gas in a tube. 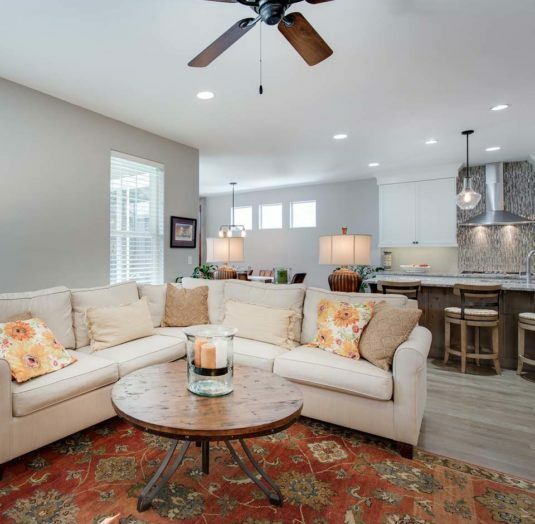 Although they are more efficient than incandescent lighting, CFLs are less efficient than LED and last only 8,000 hours compared with more than 30,000 hours for a typical LED source. CFL sources are slow to produce their maximum light output and often fade toward the end of their life. CFL sources also contain mercury and their disposal is more complex. Cool white describes a colour temperature of 4000K+ which appears slightly blue. Stands for: Digital Addressable Lighting Interface. This is a protocol for lighting controls and dimming set up by manufacturers who sanction the use of the DALI trademark. It works as a reassurance of quality on lighting controls. This means the light can be used in a fitting connected to a dimming switch. This allows the user to change the intensity of the light according to different occasions. However, LEDs may not be compatible with some dimming units. This is because the lower wattage of LEDs may not be recognised as a sufficient load for the dimming unit. 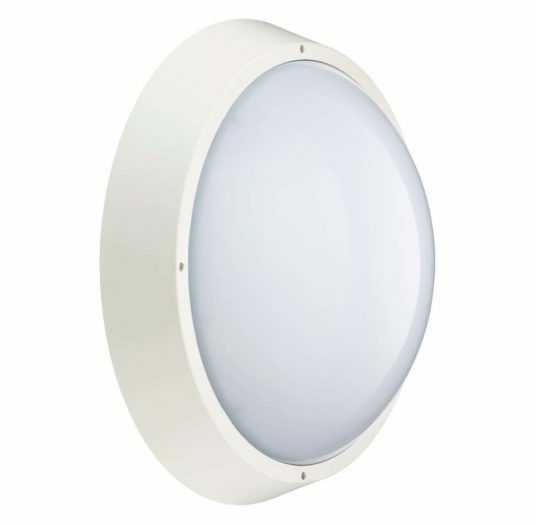 Downlights are enclosed units which combine a fixture-housing and a light source all in one. They are commonly fitted directly in the ceiling plasterboard. Downlights typically have very long lives as the whole fixture must be replaced when it fails rather than just the light source. This outlines the particular specifications of a driver. This is an extra device needed to run certain types of LEDs. These include MR16s, Panels, and Downlights. They change the voltage from the mains to a lower voltage suitable for the particular light. Edison Screw is a type of fitting common on light bulbs which screws into a fitting. Edison Screw bulbs come in two sizes, E27 and E14, sometimes referred to as ES (Edison Screw) and SES (Small Edison Screw) respectively. The E in E27 and E14 stands for Edison, while the 27 and 14 stand for 27mm and 14mm respectively. These measurements refer to the diameter of the screw connection on the bulb. Efficacy can be roughly described as how energy efficient a light source is. It describes how much light you get out from the power you put in. It is a ratio of lumens (total light emitted) to power. Eg. 90lm/W (90 lumens per watt). The higher the number of lumens compared to the power, the greater the efficacy. LED lighting requires much less power than conventional incandescent lamps. Equivalent wattage is the power an incandescent lamp would need to run at to be as bright as the comparable LED lamp. For example, the equivalent wattage of a 6W LED bulb is commonly a 50W incandescent bulb. This is when a light regularly and quickly changes intensity. GU10 is a common spotlight fitting comprising of two metal prongs that twist into a fixture. The 10 in GU10 refers to the distance in mm between the two prongs. GU10s run on mains voltage and do not require a driver. Halogen lighting is a variation of incandescent lighting. They are used because a halogen gas, such as iodine, is enclosed in the lamp in small quantities to allow the internal filament to burn hotter and for longer. This makes halogen lamps have a longer operating life but they are still extremely inefficient compared with LED. This is a piece of conductive material which transfers heat away from electrical equipment and into the surrounding air. It prevents appliances from overheating. 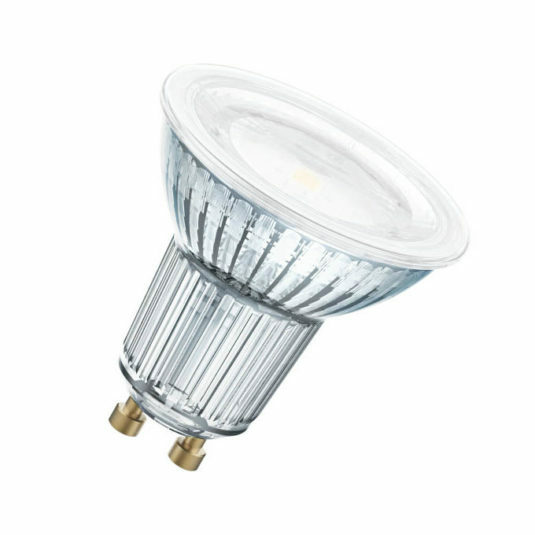 High and low bay lighting refers to the height of the fixture in an industry environment. 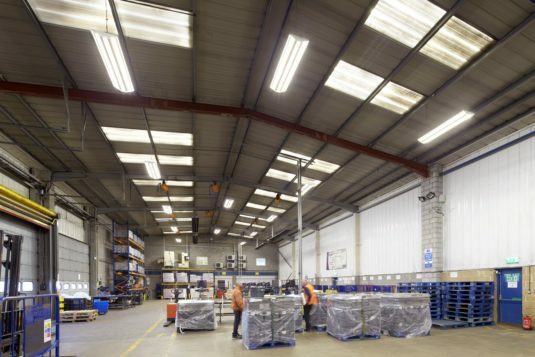 High bay lighting is for high ceilings (8m or more), and is manufactured particularly to enable shelving as well as floor-space to be illuminated. Low bay lighting provides a similar function, but is designed for lower ceiling mounting heights. Light sources with an internal filament which is heated to produce light. Extremely inefficient: they turn only 10% into light. How strong (bright) the light output from a source appears. Stands for: Ingress Protection marking. The IP rating indicates how resistant a fitting is to irritants. Areas often wet or dusty need higher IP rated products. IP ratings consist of two numbers, eg. 65. The first number (from 0 to 6) refers to how well the fitting is resistant to solid particles, eg. dust. The second number (from 0 to 9) refers to how well the fitting is resistant to liquids. The higher the number the more resistant the fitting is, with IP65 ratings suitable for outdoor uses. For more information, Wikipedia has an extensive page. A kilowatt is 1000 watts. Kilowatt hour is a unit of energy for watts used over time. One kilowatt hour is 1 kilowatt used for 1 hour. For example, a 1000 watt heater, used for two hours would use 2 kWh in energy. Utility companies commonly measure domestic usage in kWhs, and charge on average £0.12 per kWh. A 60W incandescent light used for four hours a day would use 0.24kWhs. Whereas a 9W LED light would only use 0.036kWhs in four hours. 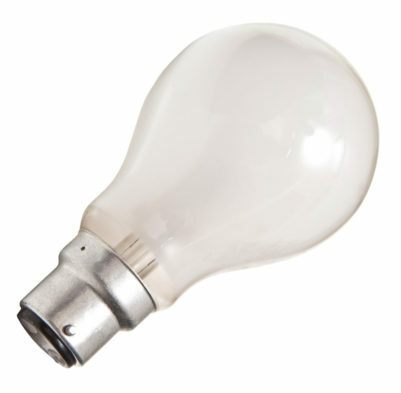 Used interchangeably with bulb, this is a general term used to describe a small to medium light source and its housing. LEDs are electrical components which convert electricity into light with very little waste energy. LED lights combine several of these components to make up a light source suitable for general use. LEDs have a lifespan of more than 30,000 hours and use little energy, meaning they pay for themselves with savings on electricity bills. Compared to Incandescent Lighting, LEDs can save up to 90% on energy consumption. This is an indication of the lifespan of the bulb, it is given in hours. It gives the amount of time the bulb will run before it drops below a particular percentage of its output – this is typically 70% (L70). This means the bulb can be expected to work for much longer than its ‘life’, but not as brightly as when new. It differs from a warranty as rated life is not a contractual assurance, just an indication from scientific testing of the device. Load is the total number of appliances which draw power from a circuit. For example, a light will contribute to the load of a circuit when turned on. As LEDs have a smaller load, some dimming devices will not work with LEDs as the dimming device has a minimum load higher than the load of the lights. The recognised measurement of total light emitted from a source (luminous flux), ie. the total amount of light emitted. This is in contrast to Lux, as lux measures the light directed to a particular area, whereas lumens can be dispersed in all directions. The term used to describe a whole lighting fixture including the light source, the socket, and any housing around the light source. Lux is a measurement of light delivered to an area (luminous emittance), ie. the total amount of light delivered to an area. This is in contrast to Lumens, as lumens are a measure of light emitted which can be dispersed in all directions. It also contrasts with Candelas, as lux measures all light delivered to an area, not just that which the human eye easily sees. MR11 is a type of spotlight fitting comprising of two thin metal prongs which are pushed into a fixture. Uncommonly referred to as GU4s, the 4 in GU4 refers to the distance in mm between the two prongs. MR11s, similar to MR16s, require an additional driver to power them, this sits between the lamp and the mains voltage. MR16 is a common spotlight fitting comprising of two thin metal prongs which are pushed into a fixture. Uncommonly referred to as GU5.3s, the 5.3 in GU5.3 refers to the distance in mm between the two prongs. MR16s require an additional driver to power them, this sits between the lamp and the mains voltage. This refers to a reflective housing around the light source which spreads the light. Stands for: Passive Infrared Sensor. These sensors monitor movement in a room in order to automatically turn on lighting when people are present, and off when nobody is present. They are more commonly referred to as motion sensors. They help reduce consumption by ensuring lights are turned off when they are not needed. This is a ratio of power used by an electrical device, against the amount of power needed in a circuit to run that device. This is relevant to LEDs because they reflect some power back to the grid and need more power sent to them than they actually use. If you are buying for your house or a small building this is irrelevant, as you only pay the electricity company for what you use and not what is sent to the building. Some large buildings such as hotels might need this information as their energy bills are calculated differently. This information is available direct from the manufacturer. This is a feature of commercial LED lights, which combines red, green, and blue lights so that the resulting light appears white and can be general purpose. It sometimes refers to lamps which can switch between a red, a green, and a blue light emitted. Traditional tube fittings slot in to fixtures at a set angle. Rotatable end caps allow the tube to be turned to better angle the light to where it is needed. Barely noticeable, frequent small changes in light intensity. Lighting tubes come in fittings labelled T4, T5, T8 etc. The number stands for eighth of an inch diameter, eg. T8 = one inch diameter. The T fitting code therefore describes the width of the tube. Tubes vary in length and will be described separately as 2 ft, 4 ft, 6 ft, etc. A lighting system used to light a specific area. Eg. A spotlight focused on the centre of a table. The process of directing heat generated by a light source away from the fixture. This is commonly achieved by a Heat Sink in LED lights. This is the amount of leeway given either side of a measurement in a specification. No product will exactly meet the specification quoted because of unavoidable irregularities in production. This is why manufacturers say their product is a certain specification, within a certain tolerance. For example, the quoted colour temperature of a lamp is 2700K. The manufacturer of the lamp gives a tolerance of 200K, so this lamp could be anywhere between 2600K and 2800K. This is because the difference between 2600 and 2800 is 200. This seems like quite a large tolerance, but in a string of lights you would not notice the variation. For special requirements some manufacturers will use a smaller tolerance, but this comes at a significant cost. Warm white describes a colour temperature of around 2700K which appears slightly yellow. This is the amount of time the manufacturer guarantees the product will work when fitted properly. It is given in years from purchase and is typically 3 years. This is different from Life, which is given in hours, as the warranty is valid regardless of the total number of hours the lamp is on for. If a product fails during its warranty, the manufacturer is obliged to replace it. The recognised measurement of power. In lighting, watts measure the amount of energy drawn by the light source. Incandescent Lights commonly use the number of watts as a rough measure of intensity. The relationship between watts and intensity is less accurate in LED Lighting. White describes a colour temperature of around 3000K which appears white.